Why is anybody not an atheist? 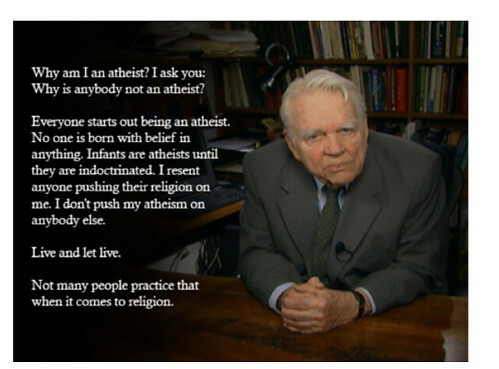 Everyone starts out an atheist. Infants are atheists until they are indoctrinated. I resent anyone pushing their religion on me. I don't push my atheism on anyone else. Not many people practice that when it comes to religion. Amen...I heard that Andy Rooney's World War II memoir My War is superb.